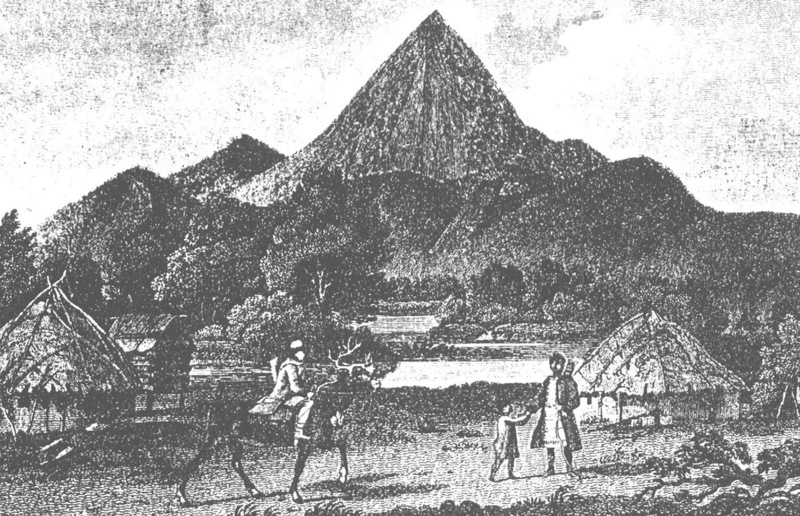 The expedition was published in 1802 in London in a book called "An Account of a Geographical and Astronomical Expedition to the Northern parts of Russia for ascertaining the degrees of latitude and longitude of the mouth of the river Kovima (Kolyma); of the whole coast of the Tshutski (Chukchi), to East Cape; and of the islands in the Eastern Ocean, stretching to the American Coast performed by Command of Her Imperial Majesty Catherine the Second Empress of all the Russias, by Commodore Joseph Billings in the years 1785 &c. to 1794, the whole narrated from the Original Papers by Martin Sauer, Secretary to the Expedition (who like Billings, and many other members of the expedition, was British). In his preface to the book Martin Sauer said: "The extraordinary discoveries of the ever-memorable circumnavigator Cook inspired all Europe with an enthusiastic desire of being acquainted with the parts of the globe still remaining unknown. Russia, though more interested in these events than any other Power, being engaged in different pursuits, did not consider the distant and barren regions belonging to her own Empire as of sufficient importance to justify the expense and trouble of exploring them; until the genius of the country was completely roused by the animating intelligence communicated in the "Account of the Russian discoveries between Asia and America, by the Reverend William Coxe"; which the late Catherine the Second commanded to be translated for her own perusal, although the original Papers were in the Archives of the Admiralty at St.Petersburg. The Court of Russia was astonished at the discoveries already made, by its own roving subjects, of islands, and of a continent, of which latter it had indeed an idea, but not the smallest notion of its extent or proximity to its own territories, and only supposed that it might be America. However, these voyages did not ascertain the geographical situations of places, nor explain the advantages that they offered to the country to which they belonged; nor, in short, any thing more than their mere existence. The amazing extent of dominion acknowledging the sovereignty of Russia, independent of her late acquisitions by conquest, became now the fashionable topic of conversation at court. Mr. Coxe, being at St.Petersburg, took advantage of the favourable moment to suggest an Expedition, to complete the geographical knowledge of the most distant possessions of that Empire, and of such northern parts of the opposite continent as Captain Cook could not possibly ascertain. The learned Dr. Pallas, then in great favour, undertook to make the necessary representations to Her Imperial Majesty, who, well pleased with the hint, immediately approved of the plan drawn out by these two Gentlemen; and Count Besborodko was, in consequence, ordered to prepare a mandate for the Admiralty: this was in the autumn of the year 1784. Mr. Billings, who had just received a Lieutenancy, said, that he had been the Astronomer's Assistant in Captain Cook's last voyage; and he was therefore thought a proper person to conduct the enterprise. Everything was procured that appeared likely to contribute to the success of the enterprise; every imaginable encouragement was awarded to all the officers and men; and orders were sent to the governors, commanders, &c. throughout the vast extent of Siberia, to give all possible assistance." Captain Billings had permission to select his own officers, and to take such hands as he judged necessary. - (Sauer complained about Billing's authoritarian attitudes later, for example, he would not allow him to take four months leave in "a milder climate" to recuperate). Lieutenant Saretsheff was sent directly by sea to Okhotsk on the Pacific coast, with the ship-builder and his assistant to fell the trees for making two ships designed by ship-builder Mr. Lamb Yeames. Captain Billings was to go overland exploring Siberia on the way and left St.Petersburg a month later on 25th October 1785 - arriving in Moscow on the 5th November. Collecting supplies and expedition members on the way, they travelled to Kazan where they saw in the New Year. Then via Ekaterineburg in the Urals, Tobolsk, Tomsk to Irkutsk where they arrived on the 14th February; and noticed how cold it was there. Provisions purchased in Irkutsk had to be packed so they could be carried by pack horses from Yakutsk to Okhotsk and to the river Kolyma where the boats were to be built for the "Icy Sea". Meanwhile some men were sent ahead to build boats at Katshuga Pristan to transport them up the Lena to Yakutsk. Billings and the rest of the expedition did not depart for the Lena until May and set sail for Yakutsk on the 15th May. "The best of them is only a collection of huts inhabited by priests and their attendants, officers and Cossacks, who teach obedience, and enforce the payment of tribute from the wandering tribes of Tartars that infest the neighbourhood." They arrived in Yakutsk on the 29th May. "To transport the articles that we had with us, and the parties, across the uninhabited country to Okhotsk, and to the River Kolyma, two thousand horses were demanded of the Commandant, or Military Governor, whose business it is to enforce the same by a paper signed by himself to the court of the interior, or land district. The Governor General of Irkutsk, Jakobi, had closed a contract with the merchant Siberakoff for provisions, consisting of flour, pease, grits, oatmeal, meat, butter, salt, vinegar, brandy &c. as 18 months supply for 100 men;..."
"The same gentleman closed the contract for the delivery of provisions &c. at Okhotsk, a three years supply for 250 men; tallow for candles, grease, pitch, tar, &c &c. Besides the immense number of horses wanted to transport the articles mentioned, our guns, anchors, cables, cordage, sailcloth, cloth, and slops, with ammunition of all kinds, still remained to be forwarded from Irkutsk." "These horses were to be obtained from the Yakuti inhabiting the district of Yakutsk, and the Viluy. I think it necessary to remark, that to every three loaded horses, a spare one is allowed; and a guide has charge of only six under loads, two spare ones, and one upon which he rides, so that where 2000 horses are demanded, 3000 are employed. The lesser number is paid for at the rate of one copeak a verst per horse; the average rate of travelling is 20 versts each day." "I was surprised at the astonishing activity that appeared in every officer civil and military, from the first to the last, in volunteering to go to some tribe or other of the Yakuti to procure horses; but the grand point could not long remain a secret; for their excess of seal ....led to an open breach between the military and civil government, which lasted just long enough for each to explain the interested views of the other. after they had done this in the most forcible manner, and completely vented their range, they began to deliberate... This was the first town in which I observed the officers from the highest to the lowest ranks form the poorer set of inhabitants; while the Cossack Sotniks (commanders of 100), and Piat Desetniks (petty officers), were the most affluent. They are chiefly Sinboyarski [or "Boyar's son" - Sauer explains "The lowest class of gentility, conferred upon the Siberians for some particular achievement or discovery. "], well acquainted with the languages of the Yakuti, Tungoose, &c. and are always employed in offices of trust...."
"I had my quarters at the house of the commandant, with Captain Billings. ....Yakutsk contains 362 wooden houses, five churches, and a cathedral. A monastery is now building, latitude 62º.1'.50". north, longitude 129º.34'. east, on a shallow branch of the river Lena, three versts west from the main channel (which is four versts across), situated on a low sandy plain, sixty versts long, in a direction north-west, and eleven broad, producing chiefly wormwood, thistles, a few flowers and wild onions; here and there clusters of hawthorn bushes and osiers, with currants, dog-roses, and raspberries. It is bounded to the west by a ridge of inconsiderable but woody mountains, from which the inhabitants obtain firewood. Never was there a town in a worse situation than this. The branch of the river on which it is built is dry by the middle of July, and continues so all winter, the inhabitants having to go the distance of three versts for water. Although the river abounds with fish, they receive their supplies of that article, as also of meat, from about the Viluy, 40 versts down the river. vegetables are brought them from the neighbourhood of Kiringa, 1650 versts up the river. In the month of June every necessity of life is brought hither down the Lena; and this is called the Yermank. During this time every trader has permission to hire a public shop, and sell his ware; and this is the time when the opulent lay in a twelve month stock; for at the expiration of the month, the privilege of trading is only vested in the hands of the burghers, who make their own prices; these consist of five or six. Siberakoff, the contractor, has a house here, and at present occupies it himself..."
"On Tuesday the 9th June we took leave of our friends in this city, after a stay of 10 days, and crossed the Lena, which is four versts over, to the plans called the Yermank, from being the general rendezvous for all travellers, traders, and transport goods, to the eastern and north-east parts of the empire. Here are extensive meadows, producing grass in abundance,. The most prevailing plant that I observed was wild flax, some with white, and some with blue flowers; and a remarkable plant which the Russians call Zemlennoi Laudon, or frankincense of the earth; this is not a gum, but an aromatic root, given to children and to adults for pains in the bowels; its smell is very like that of snake root, though in appearance it is not so fibrous. Maiden-hair grows in abundance, and is collected, dried, and used by the Cossacks instead of hops. The Yakuti also make use of it occasionally with juice of berries and water, to drink. Some sandy places are overgrown with horse-radish and wild onions. On Wednesday the 10th June, at nine o'clock in the morning all our baggage and food for the road were loaded on pack-horses, about five poods on each, and we commenced an equestrian route. Our party consisted of Captain Billings, Dr. Merck, Mr. Robeck, Mr. Main, and myself, two petty officers, and nine privates, with an adequate number of Yakuti to take care of the horses and serve as guides. We travelled this day 28 versts to the solitary habitation of a Yakut, where we halted and pitched our tents for the night...."
Sauer described the scenery on their journey, the woods the "meadows grown with fine grass, and an immense diversity of flowers, romantic lakes, .....The woods abound in wild beasts and game; and the plains are inhabited by very opulent Tartars, who possess immense numbers of horses and herds of cattle."... The weather was "hot and sultry". The party split, Billings wanted to proceed to Okhotsk at a faster rate so left most of the baggage with the remainder of the party. They were now in the mountains where the air was much cooler. They had great difficulty crossing the "White River", and the party was reduced to five men and nine horses, two greyhounds and a pointer. And their provisions to 20 pounds of dried bread, two bottles of brandy and a little tea and sugar, for a journey of 600 versts through uninhabited country. They crossed a mountain called the Tshakdall and saw a plant the Russians called Piania Trava (Sauer called it Rhododendron Chrysanthum) "held in great estimation by all the different tribes of Siberian Tartars, as also by the Russians, for its efficacy in curing rheumatic complaints and old ulcerated wounds, from whatever cause they spring." Wednesday the 24th June it snowed - and they had left their warm clothing behind with the baggage. On their return journey from Okhotsk, Billings obtained 22 reindeer from a Tungus village of ten summer huts. Sauer, his servant and the ship-builder were sent with dispatches "mounted on a beautiful young reindeer; the saddle placed on its shoulders, without stirrups; no bridle, but a leather thong about five fathom long tied round the head of the deer; this is kept in the rider's left hand, that he may prevent its escape if he falls, and, when refreshing, have a little scope to select its food. A strong stick about five feet long assists the rider to mount; though the Tungoose, for this purpose, use their bow, standing on the right side of the deer, they put the left leg upon the saddle, lean on the stick with the right hand, and spring up with astonishing apparent ease; we, however, could not effect it by any means without assistance; and, during about three hours travelling, I dare say that we fell near twenty times. The top of the saddle is square and flat, projecting a few inches over the sides of the deer; the seat is secured by drawing up the calves of the leg towards the thighs, and clinging fast to the projecting parts of the saddle, which at first causes astonishing pain to the thighs..."
"When wild in woods the noble savage ran." Sauer waxed romantically over "the romantic desolation" which "elevated my soul". Of the Tungus he said that they "wander over an amazing extent of ground....constantly on the look-out for animals of the case. They seldom reside more than six days in one place, but remove their tents, though it be to the small distance of 20 fathom, and this only in the fishing season, and during the time of collecting berries in such solitary places as are far distant from the habitation of Cossacks. Here they leave their supplies of dried fish and berries, in large boxes built on trees or poles, for the benefit of themselves and their tribes in travelling during the winter. Berries they dry by mixing them with the undigested food (lichen) out of the stomach of the reindeer, making their cakes, which they spread on the bark of trees, and dry upon their huts in the sun or wind. They seem callous to the effects of heat or cold; their tents are covered with shamoy (chamois ie reindeer skin) or the inner bark of the birch, which they render as pliable as leather, by rolling it up, and keeping it for sometime in the steam of boiling water and smoke. Their winter dress is the skin of the deer, or wild sheep, dressed with the hair on; a breast-piece of the same, which ties round the neck, and reaches down to the waist, widening towards the bottom, and neatly ornamented with embroidery and beads; pantaloons of the same materials, which also furnish them with short stocking, and boots of the legs of reindeer with the hair outward; a fur cap and cloves. Their summer dress only differs in being simple leather without the hair. They commonly hunt with the bow and arrow, but some have rifle-barrelled guns. They do not like to bury their dead, but place the body, dressed in its best apparel, in a strong box, and suspend it between two trees. the implements of the chase belonging to the deceased are buried under the box. Except a sorcerer is near, no ceremony is observed; but in his presence they kill a deer, offer a part to the demons, and eat the rest. They allow polygamy; but the first wife is the chief, and is attended by the rest. The ceremony of marriage is a simple purchase of a girl from her father; from 20 to 100 deer are given, or the bridegroom works a stated time for the benefit of the bride's father. The unmarried are not remarkable for chastity. A man will give his daughter for a time to any friend or traveller that he takes a liking to; if he has no daughter, he will give his servant, but not his wives. They are rather below the middle size, and extremely active; have lively smiling countenances, with small eyes; and both sexes are great lovers of brandy. I asked my Tungoose, why they had not settled places of residence? They answered, that they knew no greater curse than to live in one place, like a Russian, or Yakut, where filth accumulates, and fills the habitation with stench and disease. They wander about the mountains, and seldom visit such plains as are inhabited by the Yakuts, but frequently resort to the solitary habitations of the Cossacks appointed to the different stages (on routes) as they are there generally supplied with brandy, needles, thread and such trifles as are requisite among them and their women, who always accompany them in their wanderings." "In building its ships, the expedition got the Yakuts living within 150 versts to supply horses, to drag the felled timber to the sheds and to replace those packhorses which had died "of fatigue and want of food." By Christmas, they were beginning to suffer from scurvy and "The poor horses employed in dragging timber from the woods exhibited such a picture of misery as perhaps never before existed; they were fed with brush-wood and the tops of willows, having neither grass nor hay. They seldom worked longer than a fortnight then tired and died." But at Christmas they were visited by "some Yakut chiefs" who brought them meat. And on 1st January 1787, "The Yakut chief who had supplied us with horses was this day regarded for his attention and losses, by the present of a silver medal, which was fastened about his neck with proper ceremony." "On the 14th January Captain Billings proposed a visit to the Yukaghir to see their manners and customs, and procure a vocabulary of their language. He was accompanied by Dr. Merck, Mr. Robeck, our drawing-master, and myself; and we were conveyed on narty (sleds) drawn by dogs. "We arrived pretty late in the evening, and put up at the hut of the chief; a man so remarkably stupid that he could not tell us how many children he had till he called their names over, bending a finger to each; and after all, they were five daughters and two sons. The whole number of inhabitants was 27 males and 23 females including children. After having taken a refreshment of tea, with bread and butter, eight of the young women of the village came to entertain us with songs and dances to a strange inharmonious monotony of sound; and their action was an uninteresting display of their manner of hunting, skinning, and dressing the skins of animals." "The next morning we began to make our observations; but found that all their old customs were abolished, and that the race was almost extinct. They call themselves Andon Domni, and are ignorant who gave them the name of Yukaghir. They are in tribes, and, besides this place of residence have villages near the estuaries of the rivers Indigirka, Yana, and Alazei. Their customs are like those of the Tungoose, with whom they live in great friendship, and some of the tribes intermarry. The whole nation comprises only about 300 males, the Chukchi and Koriaks have swept off great numbers, the small-pox still more; and the venereal disease now seems engrafted among them, as if finally to eradicate the race. They reside at these habitations from the middle of December till the middle of February, while the weather is too severe for the chase; also in June and July, being the fishing season. They frequent the sources of the Kolyma and Yasashnoi in quest of deer and wild beasts, which they float in rafts to their dwellings, or bring in narty with dogs. they speak Russian very well, which enabled me to take a good vocabulary of their language. Their dress is now the same as the Russians of these parts; it was formerly like that of the Tungoose, whose tailors they still remain, embroidering the ornamental parts of their clothing, for which they receive in return articles of dress, skins or furs. The Yukaghir call the Tungoose Erpeghi." On the 17th May, the larger of the boats was launched and named The Pallas - after Dr. Pallas who had caused the expedition to take place. Two days later the second boat was launched and named the Yasashnoi. It was put under the command of Captain-Lieutenant Saretsheff. The water had not only melted it was rising fast and flooded their homes. They had to pitch tents on the roofs. With the countryside resembling and immense lake, tree tops appearing just above the water, they boarded the boats. The inhabitants of the flooded ostrog (fort) and village were Cossacks with their wives and attendants. While Cossacks at Irkutsk were employed in the most "contemptible drudgery" "a Cossack at Yakutsk was "of more consequence, and finds employment as translator and emissary; but is faithless, sly, and crafty. He lives in this part of the world like an independent chief, keeping Yakut labourers to assist his wife in all domestic drudgery, fishing, cutting wood, &c. Her particular province is to wait on her husband, whom she assists in putting on and pulling off his clothes, which she keeps in good repair; she also dresses his food and serves it up; and when he had made his meal, she sits down and eats with the rest of the labourers. Girls are frequently married to the Cossacks at the early age of twelve; and, as it is a slave that they want, it seems a matter of indifference to them whether she be Russian, Yakut, Tungoose, or Yukaghir, provided she professes the Greek faith. Both sexes seem incapable of forming any tender attachment; the women are very inconstant to their husbands; and the worst of disorders is deeply-rooted among them and all their neighbours, having been introduced by Pavlutski and his followers, who were sent hither to subdue the Chukchi, and communicated this disorder to all the other tribes. The lordly Cossack is only to be roused from his indolence by an order from his superior; and then he curses his fate, which has placed him under the control of others. These last of mankind, unworthy of the name, these hardly animated lamps of clay, exude the most savage barbarity over their wives, children, animals, and the poor neighbouring tribes whose miserable lot is is to pay tribute to them, or to be under the least obligations, either by drinking a glass of brandy, taking a leaf or two of tobacco, or in any other way. They receive annual supplies of articles that are necessary, ornamental, or luxurious, from the traders at Yakutsk, to supply the different tribes with; rendering in return, furs and mammoth's tusks. Their chief endeavour with these wanderers, is, to get them indebted for any article that they may stand in need of, or to procure the receipt of a trifling present (which in honour they must return with one more valuable); but if they once get into debt, then they are persecuted to the utmost, and are frequently necessitated to leave a man to work, or a woman, perhaps a daughter, as security for the payment." On the Pallas and Yasashnoi, they met up with their Chuckchi and Koryak interpreters - Dauerkin and Kibeleff at a place of six summer huts which was occupied in June for fishing. The huts were lived in by exiles - "the only people of these parts that have European countenances. They are in number nine males, the youngest 50 years of age, and about 12 females. They were emancipated by an act of grace about ten years ago, and pay a head-money equal to the Siberian peasants. Their employment is fishing, seeking the tusks of the mammoth, and hunting animals about the neighbourhood. They trade with the Koryak and wandering Tungoose; they are however, very poor, and pretend to be more so than they really are, to evade making presents to the collectors &c."
A few days later they arrived at the Nizhni Kolyma which had about 70 houses, a church, and an ostrog. 35 miles on they passed the last tree, then they arrived on the 20th June to Shalauroff's wintering place in 1762. A storehouse and dwelling house. Not far away was Laptev's lighthouse or beacon (Mayak) and nearby three small buildings built by Laptev and his company in 1739, and on top of a hill "a pyramidical building 25 feet high, supporting a cross, bearing the inscription SHALAUROFF, 1762." Nearby was the remains of a cross with a now illegible inscription, left by Laptev and a platform on which they made signal fires. There were also traps left around by a number of local tribes to catch foxes. Back from the Arctic Ocean at Sredni Kolymsk, they sent a request to the neighbouring Yakuts to supply them with horses for the journey back to Yakutsk. Sauer interviewed an ancient inhabitant, Daniel Tretiakoff, a Cossack aged 90, this is his account: "I came here in 1793 with a commissary, who was sent to collect tribute, and I was detained here as interpreter by Laptev, who made an attempt to cross the Icy Sea, and returned late in the same autumn Verkhni (Upper) was then inhabited by exiles, who were trading pedlars. Yukaghirs were very numerous then; and I believe they derived the name from one of their warriors; those of the Omolon were called Tsheltiere; those of the Alazei, Onioki; and those of the Anadyr and Annui, Tschuvantsi and Kudinsi. Wars with the Chukchee and Koriaks and fatal diseases have almost extirpated the race. I have heard of a numerous nation inhabiting the Kolyma, called Konghini, and think it was from them that the river obtained the name of Kovima (Kolyma). Remains of many villages were seen on the borders of the river, and numbers of stone hatchets, and stone pointed arrows, have been found about their ruins. "There were but very few Yakuti when I first came; and I believe that none of them were here 70 years back. The provisions for supplies to Kamchatka and Anadirsk used to be sent from the Kolyma, up the river Annui, and down the Anadyr. At that time traders frequently visited us, and very fine sables were caught in abundance, particularly about the Omolon." ...."On Pavlutski's return from his first attempt to subdue the Chukchi, the ostrog at Nizhni was full of women prisoners. Numbers were returned; some he attempted to send to Russia, but every one of them died on the road." Sauer asked him about Shalauroff's expedition of 1762: "In the beginning of the year, Ivan Bachoff, his associate, an exiled naval officer, died at Nizhni, and left Shalauroff to execute the enterprise alone. About St. Elias's day he weighed anchor from his winter buildings at the estuary of the Kolyma. His followers were exiles and runaway soldiers, not hired to receive pay, but volunteers, to receive a proportionate share of the produce of the voyage, intended in quest of ivory and furs. Of such as could write and read he made officers, and the subordinates were mutually agreed upon. "The weather was very cold, and the crew wanted to seek for a wintering place. Shalauroff, finding the sea moderately clear of ice, endeavoured to persuade them to go further; to which, however, they would not agree; and on the 25th August he steered into the bay round the northern extremity of the island, to seek a place wherein they might pass the winter; but as there was neither wood nor fish to be obtained, and his crew would not listen to his persuasions to continue their voyage, he was compelled, against his inclination, to return to Nizhni. Here his companions dispersed, but he himself went to Moscow. In 1764 he undertook another voyage under the sanction of government; but he never returned, nor was afterwards heard of". From Dauerkin, the Chukchi interpreter, Sauer learned that Shalauroff's ship was found drifting near the mouth of the Kolyma, in the autumn of the same year he put to sea; and that his people were found frozen to death about 20 or 30 versts east of Barannoi Kamen in a tent, with provisions, ammunition and arms. From another inhabitant Sauer learnt that it was suspected that Shalauroff and his people had been murdered by the Chukchi. Sauer thought they may have become stranded when trying to spend the winter with the Chukchi. Arriving back at Yakutsk in November 1787, Billings had a surprise reunion with John Ledyard, who like Billing had been an officer with James Cook. 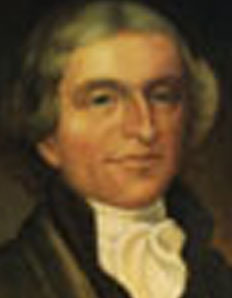 Ledyard was born in America which at the time was a British colony. It was therefore as a British officer he sailed with Cook. But then came the War of Independence and the end of his job in the British Navy on the ship's return to England. Ledyard was interested in finding a route overland from Europe to America, and managed to raise sponsorship for his solitary expedition from a number of people and organizations including Sir Joseph Banks. But it was not nearly enough funds, even though he was travelling by himself from England. At St.Petersburg Ledyard managed to join the convoy carrying supplies to Yakutsk for the Billings expedition. He was accompanied part of the way by a Scottish Doctor, William Brown, who was heading for Barnaul. Like other travellers, Ledyard was impressed by the dramatic scenery of the Lena pillars as he approached Yakutsk. Ledyard stayed with Billings and his mistress (who suffered from tummy pains and headaches). The social atmosphere in Yakutsk was becoming strained. Billings was felt to be arrogant, and Ledyard found it difficult to make friends. He found himself without support when trouble came. Sauer described what happened: "In the evening of the 24th February (1788) while I was playing at cards with the Brigadier and some company of him, a secretary belonging to one of the courts of justice came in, and told us, with great concern, that the Governor-General had received positive orders from the Empress, immediately to send one of the Expedition, and Englishman, under guard to the private inquisition at Moscow; but that he did not know the name of the person, and that Captain Billings was with a private party at the Governor-General's. Now, as Ledyard and I were the only Englishmen here, I could not help smiling at the news, when two hussars came into the room and told me that the Commandant wished to see me immediately. The consternation into which the visitors were thrown is not to be be described, I assured them that it must be a mistake, and went with the guards to the Commandant. Here I found Mr. Ledyard under arrest. He told me, that he had sent for Captain Billings, but he would not come to him. He then began to explain his situation, and said that he was taken up as a French spy, whereas Captain Billings could prove the contrary; but he supposed that he knew nothing of the matter, and requested that I would inform him. I did so; but the Captain assured me that it was an absolute order from the Empress, and he could not help him. He, however, sent him a few roubles, and gave him a pelisse; and I procured him his linen quite wet from the wash-tub. Ledyard took a friendly leave of me, desired his remembrance to his friends, and with astonishing composure leaped into the kibitka, and drove off with two guards, one on each side. I wished to travel with him a little way, but was not permitted. I therefore returned to my company, and explained the matter them; but, though this eased their minds with regard to my fate, it did not restore their harmony." Ledyard's behaviour, however, had been haughty, and not at all condescending, which certainly made him enemies. Ledyard had been critical of Billings and his methods of administration. Sauer was to fall out with Billings himself later. Ledyard was bundled without any clothes and other luggage except what Sauer hastily helped him put together, back across the country towards Europe and across the Polish border. Another expedition was planned from Yakutsk to Okhotsk. Here they found the ships would not be ready until the following summer, so they returned to Yakutsk helped by Tungus guides. It took about two months to return. Yakutsk appeared to have changed. As Sauer said "I now observed, that the officers of government at Yakutsk were suddenly become wealthy; that some, who with difficulty procured the common necessaries of life on our first arrival in this town two years ago, were now enabled to keep a carriage, with everything suitable to that style of living; and upon the strictest inquiry, I found, that these gentlemen were the volunteers who were so active in procuring horses for the use of the Expedition". "The nation known among the Russians by the name of Yakuti call themselves Socha (Sakha), and say that they came originally from the south. A nation of Mongols inhabit the district of Krasnoyarsk, extending to China, who also call themselves Sakha, and speak the same language as the Yakuti. These relate the following story of their migration. The Toyon (i.e. chief) Omogai Bey, with all his tribe and cattle, left the fertile plains situated to the west of the lake Baikal, to make way for a more powerful horde; retreating to the grassy meadows between Irkutsk and the river Lena, now known by the name of the Buryatski Steppe. Here he resided some years, probably at continual strife with the Buryati; for he was compelled to fly from their fury, availing himself of the decreasing moon, at which the time the Buryati never attack their enemies. Omogai crossed the Lena, at a spot between where Katshuga and Vercholensk now stands. He kept close to the river, making resting-places where he found pasture for his cattle, until he arrived at the estuary of the Olekma. In this neighbourhood are meadows affording plenty of grass, the rivers are abundantly stored with fish, and the woods replete with wild beasts. He might, indeed, have found places equally eligible before he came so far to the north; but these were the resort of the Tungus, and he would have exposed himself to the depredations; for the Asiatic tribes, as well as those of America, were inveterate enemies to each other, and skirmishes were the sure consequences of meeting in their hunting parties; ever now these frequently happen. While Omogai was in the situation, two of his hunters fell in with a man of their own race, who was called Aley, or Eley, and had made his escape from the Buryati. They took him to Omogai's who employed him as he labourer. His remarkable strength, skill, and activity, soon recommended him to Omogai's particular notice, and he was entrusted with the management of some excursions. The astonishing success that attended all his enterprises, induced Omogai to make him overseer of all his tribe and effects, which latter were considerably increased by the prudence of Aley's management; and, in consequence of this increase, the chief was obliged to extend his possessions to the vicinity of the present town of Yakutsk and the opposite plains. Omogai, who had a daughter by his wife then living, and a young woman who he had adopted, was old, jealous, and dreaded the effects of Aley's power. He observed, that all his tribe esteemed Aley to adoration; for they supposed him to possess supernatural powers, and attributed his continual good fortune and success to the immediate influence of spirits. This made him uneasy; and, with a view of securing his possessions and his name, he offered Aley his daughter for marriage. Aley now avowed himself a Shaman, and assumed the powers of divination. He told Omogai, that his daughter would never have children, and therefore he would not take her; but demanded the young woman that the chief had adopted, with whom he should have a numerous family. The mother violently opposed this union, but Omogai at length consented. Aley's life was soon rendered very unpleasant by the persecution of the mother and daughter; but, having received very liberal presents from Omogai at the time of obtaining the eldership of the tribe, and as rewards for his careful management not only of cattle and horses, but also of men and women labourers, he was in possession of independent wealth; and therefore retired, with Omogai's consent, two days' journey from his habitation, and established himself on the plains 18 versts north-west of the present town of Yakutsk, by the side of a branch of the river Lena, now dry. Here he remained till the death of his benefactor, when the greatest part of the tribe came over to him. Aley, who was now become extremely powerful, is reported to have had 12 sons and several daughters, (Ghanghalas, or Chanhallas), the oldest of whom was the founder of the Ghanghalaski (Khanghallass) tribe. The remaining history of Omogai's wife and daughter I have not been able to learn; but the tribe is now known by the name of Batulinsk. It is said to be about 300 years since Omogai migrated hither. (Which would be the end of the 15th century). The first intelligence that Russia obtained of these people was in 1620, when they were discovered by the Cossacks that inhabited the Mangazey. At that time they were divided into many tribes; and the dissensions that existed among them contributed to their being subdued. Millach is the first chief reported to have gone over to the Russians. He had a small tribe, which separated from the Khanghallass under the charge of the chief Tygyn. Millach inhabited a hill on the eastern shores of the Lena, 60 versts below Yakutsk called Tshebedal. He supplied the Russians with food, and gave them 40 archers to subdue Tygyn and his tribe, which was accomplished on Tygyn's falling in the field. Tribute was collected in 1630, and in 1632 the first ostrog was built among them on the mountain Tshebedal, but afterwards removed to the place where the town now stands. Millach's tribe is now known by the name of Namski Ulus, or Our Tribe, a name given to it by the Russians. Their number is computed at Yakutsk to be 500,000 males; but I am inclined to think that they are not so numerous; and my reasons are these; They say themselves, that in 1780 they were more numerous than they are now, much better circumstanced, and in an increasing state. At that time they had only one Commander and his Assistant. Upon the Sakha chiefs bringing their annual tribute, they always observed the custom of showing their particular attachment, by making these gentlemen a trifling present of furs, horses, and cattle, and supplying their table with flesh, fish, milk, and butter, and also with wild fowl. Considering their immense possessions, and the cheapness of all the articles, these presents were never felt as of any consequence by the individuals who made them. At present, however, their stock is considerably diminished, not amounting to one tenth part of what it was. Instead of having only the Voevoda and his Secretary to deal with, they now (since 1782) know not how many commanders they have to pay their respects to. A commandant, a captain of the district, a director of economy, judges of the different courts of justice, with their secretaries and dependents, and other officers, are occasional travellers among them; beside which, they complain of numberless exactions according to the arbitrary will of their superiors, only authorized by their own presumption. These circumstances undoubtedly discourage the activity of the Yakut, who no longer endeavours to procure wealth, because it is the likeliest means of making the object of persecution. Thus property, tranquility, and population decease. The princes or chiefs dwelling near towns acquire their luxuries, and oppress their dependent tribes to procure wine and brandy in addition to their koumis; this was never known among them till the year 1785. I will further add, that in 1784 the district of Gigansk produced 4,834 tributary natives; but in 1789 their number amounted only to 1,938. Mr. Bonnar, the captain of the district of Zashiversk, told me, that the tributary nations in his circle amounted to only half the number that they were five years ago and that these were very poor indeed. To my certain knowledge, upwards of 1,500 Yakuti are hired as labourers by the inhabitants of the town of Yakutsk; their wives dwell with the tribes, and do not see their husbands for years. However, I have some other reasons, which will be mentioned hereafter, to account for the decrease in the population of this nation. With regard to their capacity of supporting themselves, they are independent. Their only necessaries are, a knife, hatchet (or palma), flint and steel, and a kettle; and with these articles the all-providing hand of god sufficiently supplies them, and capacitates them to furnish the other tribes. From the iron ore of the Viluy they make their own knives, hatchets, etc. and of such temperature as baffles the more enlightened art of the Russians. This ore may be called native iron, from the little trouble they have in preparing it. Every utensil and article of dress they make themselves. In their roving parties, on the chase or travelling, they only take with them a scanty supply of koumis, depending on chance for the rest; and should their pursuits prove unfortunate, they find their food in the inner bark of the pines and birch-trees, or the different edible roots. Squirrels are very good eating, but their favourite food is the whistling marmot. Aar Toyon (Aay Toyon) (the merciful chief): To him they attribute the creation, and suppose him to have a wife, whom they call Kubey Chatoon (Kubei Khaton) (shining in glory): they are both all-mighty. - another god, named Wechsyt (the advocate), carries up their prayers, and executes the resolutions of the godhead: Wechsyt, they say used frequently to appear among them, and still continues now and then the show himself, assuming the form of a white stallion, or different birds, from the eagle to the cuckoo. - Shessugai Toyon (the protector): he intercedes for them, and procures all desirable things, as children, cattle, riches, as well as all good and comfortable things: his wife they call Aksyt (Ayysyt) (the giver). - these are their benevolent gods; and I may ad to the number a being which they adore in the sun: to these they offer sacrifices only once a year. They attribute a particular being to the fire, and constantly offer sacrifices, supposing him equally possessed of the powers of good and evil. - Their malevolent spirits are very numerous; for they have no less than 27 tribes or companies of aerial spirits: their chief they call Ooloo (Ulu) Toyon: he had a wife and many children: Sugai Toyon (the god of thunder) is his minister of immediate vengeance (Sugai is hatchet): the rest they distinguish by the names of different colours. cattle and horses are sacred to the different spirits whose colours they bear. they also reckon eight tribes of spirits inhabiting Mung Taar (everlasting misery). their chief is called Asharay Bioho (the mighty): these have wives, and the cattle sacred to them are quite black: their departed shamans are supposed to unite to these. they are in great dread of another evil goddess, whom they call Enachsys (cowherdess): she damages the cows, inflicts disorders on them, destroys calves, etc. and is frequently honoured with offerings to be propitious to their stock. When the hut is full, the elder shaman rises, and commands one of the Sakha that he knows to be qualified (namely, that has not seen a corpse within the month, and that has never been accused of theft, or bearing false witness against any body, which defiles them for ever, and renders them unqualified for this sacred and solemn task) to take a large goblet, called a choron, which is used to drink out of on solemn occasions, and fill it with koumiss out of the first fymir; then to place himself before the hearth, with his face to the east, holding the choron to his breast about two minutes. He then pours koumiss three times on the hot embers, as an offering to Aar Toyon. Turning a very little to the right, he pours three times to Kubey Chatoon; then to the south he offers in the same manner to each of the benevolent gods. With his face to the west, he pours three times to the 27 tribes of aerial spirits; and three times to the north to the eight tribes of the pit, and to the manes of their departed sorcerers. After a short pause, he concludes his libation by an offering to Enachsys the cowherdess. The sorcerer then turns the man with his face to the east, and commences a prayer aloud, thanking the godhead for all favours received, and soliciting a continuance of their bounty. On concluding his prayer, he takes off his cap, with which he fans himself three times, and cries out aloud, "Oorui!" (grant) which is repeated by all present. The elder shaman then, taking the choron, drinks a little, and hands it to his brethren of the same order; from whom is passes to the company as they sit, except such as are defiled. Women are not admitted into the hut; nor are they, or the disqualified, allowed any of the koumiss out the first fymir, which they call sanctified, as possessing the power of purifying and strengthening in a divine sense. They all now go out of the hut, and seat themselves on the strewed branches of birch, in half circles fronting the east. All the fymirs are carried out, and placed between the branches of trees stuck in the earth, and they commence drinking; every crescent having their fymirs, choron, and presiding shaman, who fills the goblet, and pushes it about with the course of the sun. The quantity that they drink is incredible. Tournaments now begin, wrestling, running, leaping, etc; and if any one carry off the prize in all the achievements, he is esteemed as particularly favoured by the deities, and receives more respect and credit in his testimony than falls to the lot of a common man. When the ceremony is finished, they mount their horses, forming half circles, drink a parting draught, and, wheeling round with the sun's course, ride home. Women attend, and form parties among themselves at some distance from the men, where they drink, dance, etc. Men and women are both admitted to this order; but very few of the latter, as particular circumstances attending their birth or infancy can alone authorize their inauguration. Young men are instructed by an old professor, who accompanies them by day and night to the most solitary parts of the woods; shows them the favourite spots of the spirits of the air, and of the pit; and teaches them to cite their appearance, and claim their influence. I have heard most wonderful relations of their power, even from the Russians; but, notwithstanding I have seen their enchantments or incantations many times, I never could discover any of their feats equal to that of a common conjurer in England. the following is an account of their performance: When a sick Sakha sends for a shaman to appease the wrath of the evil spirits that torment him, the sorcerer takes a switch ties a few hairs from the mane of a horse to the end of it, walks and jumps about the sick person, waves his switch, and conjures the demons to appear and relate the cause of their tormenting him, and how they are to be appeased. After sometime has passed in this invocation, he starts, pretends to see the spirits, and, listening to their admonition for some time, turns to the patient, and tells him whence the spirits came; that it was with a view of destroying him, but that they might be induced to accept as a sacrifice, instead of him, a fat mare or a cow,mentioning the particular colour. this is immediately procured; for whoever has one answering the description readily gives it. The offering being procured, the shaman dresses himself in full form, walks with his switch to the possessed, embraces him, and commands the demons to leave him; then, rising in great agitation, he suddenly springs upon the offering, raving and shouting as much as he possibly can; the beast now starting, being being restless, is a proof of the pain that it endures from the demon. The following morning the sacrifice is lead to the place appointed, which is always on a rising ground at the entrance into a wood. Four poles are driven into the ground, on which they erect a stage covered with twigs, whereon the offering is slain and skinned. The flesh is dressed and eaten on the pot; the bones collected, wrapped up in the twigs that were on the scaffold, put inside the skin of the animal, and stuck at the top of some tree on the spot; if the sacrifice was to the aerial spirits, the head is directed upwards; if to the spirits of the pit, the head is looking downwards. The sorcerer then,arrayed in his magic robes, takes his tambour, and begins his formal spells; beating his tambour, raving, jumping, and using an unintelligible jargon in the most extravagant manner; his long hair hanging over his face, he conjures the spirit of the sacrifice to its demons, and the demons to their proper place of retirement; seems, several times during his incantations, to faint, during which paraxysins he receives the inspired power of prognosticating the fate of the diseased, and the day either of his restoration to health, or of his death. If he prove mistaken, it is not regarded as arising from want of skill, but the unacceptableness of the sacrifice, which is occasionally renewed till he dies or recovers. If a shaman acquaints any family that some demon is intent on inflicting a punishment, offerings are made to avert the evil; not of live beasts, but the rich skins of animals, which are hung up in a conspicuous part of the hut, and buried with the owner when he dies. The magician's dress is a leather jacket, with sleeves from the shoulder to the elbow; along the outer seam, long slips of leather are sewn, as also round the bottom, hanging to the ground. The jacket is covered with iron plates, and pieces of iron and brass hanging, which makes a dismal noise while he is leaping about and beating his tambour. He has also a piece of leather, like a long apron, reaching from his chin to his knees, tied before, and ornamented in the same manner. His tambour is very large, and also ornamented in the edges and cross bars with iron and brass; and his stick is covered with the skin of some short-haired animal. He also wears, at the commencement of his incantation, a fur cap; but this he throws off almost as soon as he begins his magic spells. They have no specific name for the supplemental month every sixth year. They know the time of night by the situation of the great bear and the polar star: the former they call araghas solus. Of the approaching seasons they judge by the following phenomenon. If the Pleiades, which they call oorgel (urgel), appear before the moon when seven days old in the month of January, they expect spring to commence in the beginning of April; if when nine days old, at the end of April; but if this happens on the tenth day, they expect a late spring, and begin to be very saving of their fodder. They reckon distance by time; and 30 or 40 versts, according to the goodness of the roads, make a day's journey. I have not traced any atrocious vices among the Yakuti or Sakha. Robberies are seldom committed; sometimes, indeed, they lose cattle; but this I believe to be more the effect of their straying than their being stolen, as detection is almost certain; for they have an astonishing memory, and relate all their losses at every public meeting, as weddings, etc; and if any one has in his travels seen such a best as is described, he relates where and when; thus they are traced, and the punishment is, not only restoration to the party injured, but the thief is compelled to make good all the losses of the other Yakuti during the year, whether he has stolen the property or not. A magician places his tambour and dress before the fire, the embers of which are burning. The accused stands before it, facing the sun, and says: "May I lose during my life all that man holds dear and desirable, father, mother, wives, children, relations; all my possessions and cattle; the light of the sun, and then my own life; and may my spirit sink to eternal misery (mung taar), if I be guilty of the charge laid against me!" The magician throws butter on the hot embers; the man accursed must then step over the tambour and dress, advance to the fire, and swallow some of the exhaling smoke from the butter; then, looking to the sun, say, "If I have sworn false, deprive me of thy light and heat." Some of the tribes close the ceremony by making the accused bite the head of a bear; because they allow this best to have more than human wisdom, and suppose that some bears will kill the aggressor. They are very revengeful of insults; nay, even entail revenge on their progeny: nor do they ever forget a benefit received; for they not only make restitution, but recommend to their offspring the ties of friendship and gratitude to their benefactors. They are very obedient to their chiefs and oghoniors, and show their attachment by frequent visits and presents. They are extremely hospitable and attentive to travellers, especially to such as behave with a degree of good nature, and very inquisitive and intelligent; for they ask questions freely, and answer any without embarrassment or hesitation. They are anxious to secure friendship and a good name, and seem to study the dispositions of such as may be of service to them, to whom they are liberal in present, and even in flattery. The deliberate in council on all matter of public concern, as the course to be taken by each in the chase, etc. The oghoniors are surrounded by the rest, and their advice is always taken. I have never seen an old man contradicted or opposed, but always as implicitly obeyed as a father of a family. A young man ever gives his opinion with the greatest respect and caution; and even when asked, he submits his ideas to the judgment of the old. The Yakuti are a healthy and hardy race, bear the extremes of heat and cold to an astonishing degree, and travel in the severest frosts on horseback, frequently suffering much from hunger; they are, however, subject to rheumatic pains, boils, the itch, and sore eyes; and great numbers were carried off in 1758 and 1774 by the small-pox and measles: the shamans are their doctors. They are extremely superstitious, and almost every tribe has its object of veneration, but not of worship, as the eagle, the swan, the stallion, etc. Ravens, crows, and cuckoos, are ominous birds; if these perch near their huts, they dread some misfortune, which is only to be averted by shooting the bird. Eagles and large birds of prey are, on the contrary, the foreboders of good. They always take care that the doors of their huts shall face the east. The fire-place in nearly in the middle; the back of the chimney towards the door, and a free passage quite round it. The sides of the hut are furnished with benches and small cabins, which serve for sleeping places. Tthe bench extends about four feet into the hut, where the inhabitants sit. The men keep the south side, and the women the north. Except the hostess, no woman may give any thing to eat or drink to a male stranger before the fireplace, but must walk round the chimney to present it. They never wash any of their eating or drinking utensils; but, as soon as a dish is emptied, they clean it with the fore and middle finger; for they think it is a great sin to wash away any part of their food, and apprehend that the consequence will be a scarcity. Their earthen vessels they keep extremely clean, because they can made them so by burning, in which case the fire accepts the remains that adhered to the sides. Before they begin to eat any thing, they throw a small spoonful into the fire as an offering of thanks. The rich are esteemed to be under the protection of the gods; but the poor are rejected as forsaken, and only protected by their relations, or obliged to hire themselves out to work. Every Yakut bears two names, and is never called by the right, except in cases of necessity; thus they think they evade the search of the evil spirits bent on tormenting them. They never mention the dead, except allegorically, and leave the hut to ruins wherein any one has expired, thinking it the habitation of demons. Travelling with Captain Billings to the river Maya, I observed the following offering in the hut of Surtuyea Birdugin, an unchristened prince or chief, to Shessugai Toyon and his wife Aksyt, for the blessing of children, called Ogo Oyetto, the child's nest. It was a horse-hair cord tied round the chimney, leading to the sleeping place of the host and hostess, ornamented with bunches of horse hair. Two round pieces of the bark of birch, to represent sun and moon, suspended; also the representation of a stallion and a mare formed out of the bark, and a few wooden dolls dressed. The cord was fastened to the post at the head of their bed, where was placed a wicker basket with moss and fur at the bottom; and on a little table in the basket was set a very small wooden bowl, containing boiled flour; all of which was placed by a shaman with great ceremony. The prince has three wives, and was married 15 years without having had any children before this offering was made; but afterwards each of his wives bore their share of children, and he has now six sons and daughters. This account was related to Captain Billings and me in the presence of Mr. Hornossky, the captain of the district of Yakutsk, by the prince himself: each wife has here separate dwelling some miles distant from either of the others; and a similar offering is placed in each of their huts. At the time of parturition, the husband is called, and two skillful women in his presence assist the delivery. If a son be born, a fat mare is killed on the third day; all the neighbours are invited to supper; the child is rubbed all over with fat, and a name given to it, - the more insignificant the better, for an elegant name would entice the demons to be continually about it.. No ceremony is observed if the child be a daughter. The ceremony of buying a wife is extremely formal and tedious. A young man who wishes to marry sends his friend to ask the consent of the bride's father, and what kalym (purchase) he demands; that is, how many horses and cattle, as also the quantity of raw meat, horse flesh, and beef, that he requires for treats and feasts: this they call kurim; half of the quantity is always given in presents to the bridegroom by the bride's father, and is called yrdy. the daughters's inclinations are always consulted; and, if she does not object, the kalym and kurim are stipulated. The bridegroom kills two fat mares, dresses the heads whole, and the flesh in pieces, and goes with three or four friends to the father of the bride. On his arrival at the hut, one of his friends enters and places one of the dressed horses' heads before the fire, and returns to his companions without speaking a word. they then all enter the hut, and, a sorcerer being placed opposite the fire, the bridegroom kneels on one knee with his face towards it, into which butter is thrown; he then lifts up his cap a little, and nods his head three times without bowing his body. The sorcerer pronounces him the happy man, and prophesies a succession of happy years, etc. Then the bridegroom rises, bows to the father and mother, and takes his seat opposite the bride's place, but keeps silent. The meat is then brought in, and the father of the bride distributes it among his own friends, but kills a fat mare to treat his new guests. Supper being over, the bridegroom goes to bed; the bride, who has not been present, is conducted into the hut and to his bed by some old woman, and they sleep together; sometimes, however, the bride does not appear at the first visit. In the morning, the friends return home; but the bridegroom remains three or four days. A time is now fixed for the payment of the kalym, either at the new or full moon. the kalym and kurim are then carried, without any ceremony, and delivered in the presence of so many friends, who are seated, and the bridegroom remains again three or four days, and fixes a time to receive the bridge at his own dwelling, which must be new built on purpose, and this also at the new or full moon. All her relations, male and female, with friends and neighbours, sometimes more than a hundred, accompany the bride with her father and mother, taking with them eight or ten fymirs full of melted butter, and the dressed meat of three fat mares. They go to the new hut prepared for them; three men are sent to the bridegroom in his old hut, and the greatest drinkers are chosen for this purpose. On entering, the first says, "We are come to see your dwelling, and to fix posts before your door." They then kneel on one knee before the firs. An ayach (turned wooden pot with three legs, this one took two to four gallons) is filled with koumiss, and handed by two men to the three kneeling, each of whom empties an ayach at three draughts. They then rise and go out, all the company saluting them with one cheer. Three others enter; the first with nine sables, the second with nine foxes, and the third with 27 ermine skins; these they hang on a peg in the chief corner of the hut, and retire. Then a number of women conduct the bride, her face being covered with ermine skins, to the hut; the entrance has a wooden bar placed across it, but of no strength, which the bride breaks with he breast, and enters the hut. She is placed before the fire, holding her hands open before her, into which seven pieces of sticks are put; as also several pieces of butter, which she throws into the fire. the shaman pronounces a blessing; she then rises, and is again conducted, with her face concealed all the while, to the new hut, where the cover is taken from her face. The bridegroom enters, and feasts the guests two days; then presents all his relations with cattle, over and above the kalym; which is, however, returned, on paying their formal visits, perhaps a year or more afterwards. Polygamy is allowed, and some have six wives; but the first is respected by all the rest; they dwell in separate huts; and in case of bad conduct they are returned home, and the greatest part of the kalym is given back. this, however, very seldom happens: I have not been able to hear of a single instance. The corpse is first dressed in the best apparel of the deceased, and stretched out; the arms tied tight round the waist; then enclosed in a strong box, with the knife, flint, steel, and tinder; also some meat and butter, "that the dead may not hunger on the road to the selling of souls." A shaman presides; the wives and relations accompany the procession to a certain distance; the favourite riding-horse of the deceased is saddled and accoutered, with hatchet, palma, kettle, etc. and led to the place of interment, as is also a fat mare. Two holes are dug under some tree; then the horse is killed, and buried in one, while the corpse is laid in the other. The mare is killed, dressed, and eaten by the guests; the skin suspended on the tree, under which the body lies with the head to the west. The shaman takes his tambour, and invokes the demons to let the spirits of the departed rest in pace, and finishes the ceremony by filling up the grave. A shaman is buried with the same ceremony, and his tambour with him. If an elder brother die, his wives become the property of the younger; but if a younger brother die, his wives are free; yet they seldom marry again, except they be very poor. Their dress is much more complete than that of the Tungus; and the more wealthy among them wear a cloth coat lined and trimmed with fur, with tight and well made pantaloons; but their boots are ill shapen. The women dress very like the Tungus but are in general not so clean or sprightly. About the 25th of June, at the conclusion of their holidays, they commence their summer occupation by collecting a great supply of the inner bark of the pine and birch, which they dry on racks in their huts; hay-making and fishing then occupy the time till berries are ripe, when they collect an immense quantity, and boil to preserve them. In the beginning of October they kill their winter stock of cattle for food, and let it freeze, which preserves it fresh and good; of course they save so much hay. In October and November they catch fish under the ice. Toward the end of the latter month, they go out on the chase; for wolves and foxes they place in their tracks poisoned baits of corrosive sublimate, which they call sullima, and also of nux vomica (Tshillebucha); besides having traps set, spring bows, etc. They are very expert archers, and have a plentiful supply of arrows in their quivers. The women make all their clothing, look after the cattle, milk the cows and mares, chop wood, dress food, etc. They have no amusements beyond feasting, eating, and drinking. Sometimes, indeed, the women dance, which, however, is only forming a ring, and walking round with the sun's course. Their songs are inharmonious, and almost all extempore on any object that strikes the imagination. They dress leather for use in the following manner: for fymirs, they take a fresh skinned sow's or horse's hide, and steep it in water a few days, when the hair easily rubs off. It is then hung up till nearly dry, when they lay it in blood until soaked through, and then hang it in a smoky place for a considerable time: of this they make their buckets and soles of boots, etc as the latter are completely water-proof, and the buckets, or fymirs, ever retain oil. The legs of boots they make of colt's or calf's skins, scraped and rubbed till they be soft, then sewn, steeped in blood, and dried in smoke; afterwards blackened with wood-coals and fat several times, and smoked again; they then are water-proof. Elk and deer skins are dressed with and without the hair on, by being covered with a paste made of clay, and the undigested food from the maw; or with cow-dung hung up till nearly dry, then rubbed and scraped till soft. They are then either kept of their natural colour, or dyed of a red colour with the bark of alder and ashes boiled together, or else of a yellow colour with the roots of sorrel. The thread with which they sew their clothes is made of the sinews from the legs of the horse, deer, or elk. Notwithstanding the strictest enquiries, I could not obtain any intelligence of remarkable places, or springs, of any kind, except the mountain where Commodore Bering obtained coals in his expedition of 1725, and forged his anchors near the famous mount Tshebedal, from whence they were transported by water to Yudomsky Krest, carried by land to Urak Plotbisha and down the Urak river, to the sea and port of Okhotsk. On my way thither, I passed the night in one of the huts of a Yakut about 10 versts from the mountain, and observed there a small furnace with a pair of hand-bellows fixed, which were double, and gave a constant blast when worked with both hands. I saw some specimens of iron ore obtained in the neighbourhood, exactly resembling that of the Viluy in curious forms and shapes. Tthis iron my host worked into knives, palmas, hatchets, etc. without fusion, bringing it into a very soft state by heat, and beating it out. He used charcoal for this purpose, nor did he know, till I showed him, that the coals, which he called black stones, would burn; and he was inclined to think me a sorcerer for making them inflammable. This mountain, however, afforded him grindstones. Aley received numberless presents from Omogai and his dependents during his eldership; but was obliged to leave all these behind him, and was driven from Omogai with only two old mares, on which he and his wife, rode; all his possession at the time were, the clothes on their backs, a how and arrows a hatchet, palma, and two knives, with fire materials. Aley thought this a convenient spot; and, halting the second day, built a temporary hut, collected carefully the dung of his mares, and, when the wind blew towards Omogai's habitations, made fires of the dung, the small of which allured the strayed cattle to his dwelling; he then carefully fed and watered them, and drove them back. Aley now built himself a very large hut and storehouses. Before his hut he stuck up posts, with carved tops, for traveller to tie their horses to, and made a number of hurdle coops and pens close to his dwelling. the cattle constantly returning, with fresh numbers of milch cows and mares, Aley collected immense quantities of butter, milk, and koumiss, and having been very successful in the chase, he had a great supply of the meat of the elk and deer, with game of all kinds. He now purposely wandered to the places that he knew to be frequented by Omogai's tribe, fell in with some of his hunters, and brought them to his dwelling, having previously cautioned his wife to keep the strayed cattle far from his habitation. Omogai's people were astonished at the elegance of the habitation, the profusion of fish and flesh of different animals; but, above all, at the quantities of koumiss and butter with which he treated them, knowing that he had no cattle. Aley told them that he had been admonished by his spirits, or demons, to form the different pens which they saw before and round his hut, and to affix the posts for the horses of his visitors; assuring him, that his guests should be numerous, and his possessions great. He punctually obeyed the injunction of his demons; and, to his astonishment, observed a white-mouthed stallion lead to his pens a number of mares and cows: these his wife milked; which being effected, they vanished from his sight, but returned every night and morning. He kept his guests all night, and in the morning set them away, with provisions for the road, and presents of rich furs for Omogai, his wife, and daughter. Aley had now several children, and was very desirous of obtaining, by fair means if possible, the property that he ought to have received from Omogai. Not doubting that the reports of the hunters, and the presents sent, would effect a reconciliation between them, and astonish his whole tribe, Aley resolved on paying his old master a visit, with additional presents, and inviting him, with the heads of this tribe and families, to pass a day or two at his habitation. He was well received, and Omogai promised to attend, with his wife, daughter, and friends, at an appointed time. Aley, on his return, built a very large temporary hut to receive his guests. They came and brought with them a considerable present of cattle. Aley treat them with great splendor for three days, received the present as such and claimed with humility the cattle and labourers that had been justly kept from him, and which were his due, because he had served for them. Omogai acknowledge the demand to be just, but by the opposition of his wife and daughter was prevented from granting it. They departed with their friends but Aley, through the influence of his demons, cause a violent storm and extreme darkness, in which they strayed several days; at length Omogai, his wife, and daughter, reached home; but the great part of his friends returned to Aley, and acknowledged him their chief, but much disgusted at the refusal that he had received, and perhaps dreading the influence of his supernatural powers. Omogai died shortly after, and the greatest part of his tribe went over with their cattle to Aley; but Batulin, one of his stewards, married the daughtter, and secured the rest. She never bore him children, however; but Batulin took other wives, and had several. Aley had twelve sons and several daughters. Changhalas he initiated in his magic art, and he was the founder of the Changalaski tribe. This account is general among the Changalaski (Khangalass), who adore the stallion; but the history, as I have before related it, is credited by the greater number." The following summer - 1789, the Billings expedition launched its two ships at Okhotsk. They were about to sail from Kamchatka when a courier arrived from St.Petersburg. It appeared that due to the war with Sweden, government funds for the expedition were running out. Economies must be made. They were to return to St.Petersburg if they had not already set sail, as there was a shortage of naval officers and men. They immediately set sail for Kamchatka and Petropavlovsk. They found the climate mild, the scenery beautiful, apparently healthy happy inhabitants, friends of friends, with well stocked kitchen gardens, they made themselves at home, to the tune of God Save the King. There were many here who had been friends of members of Captain Cook's expedition. "Nothing in nature could be more pleasant than the glow of friendship which animated their countenances with the liveliest expression of sincere regard, when the mentioned the names of King, Bligh, Philips, Webbe, and others; names that will be handed down to posterity by tradition in a Kamchatka song to their memory, with a chorus to the tune of God Save the King; which is frequently sung....."
"They deeply lamented the fate of Captain Clerke (who took over when Cook was murdered on Hawaii, but died at Kamchatka), whose tomb is now graced with an engraving on a sheet of copper, containing a copy of the superscription painted on the board and suspended on the tree under which he lies buried; with this addition only "Erected by Perouse 2787, commander of the Expedition from France." Nearby was the tomb of De Lisle de la Croyre who had died in Bering's Expedition. 19th century Siberia 1820 to 1890 - extreme tourism. The opening of the North Pacific for trade at the end of the 18th century.